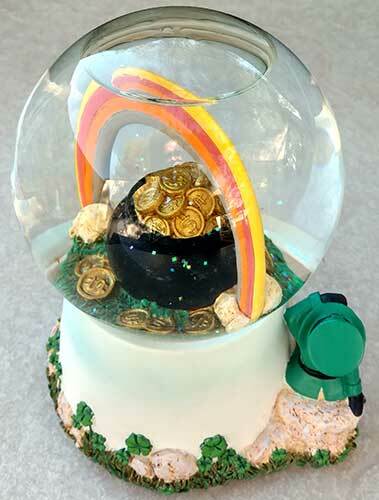 The pot of gold and the rainbow inside the Irish snow globe rotates while played! 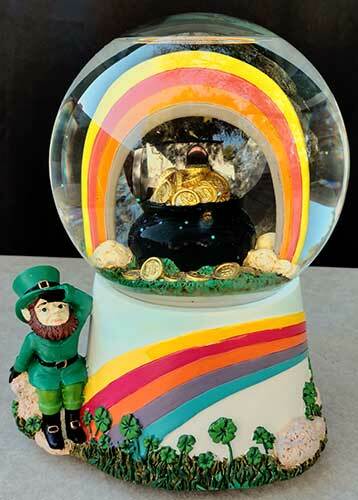 This Irish water globe features a leprechaun along with four leaf clovers on the dimensional base along with a rotating pot of gold under the rainbow inside. 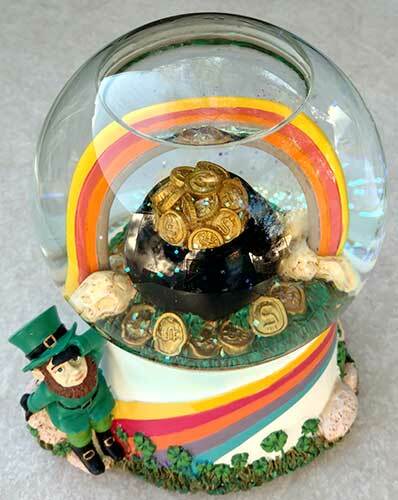 The leprechaun water globe is made of resin and glass; it measures 5 1/4" wide x 7 1/4" tall.